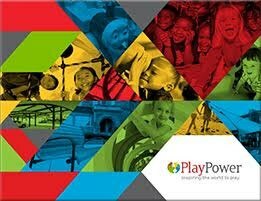 At PlayPower, we believe in providing fun, safe play solutions to our customers. Our family of eleven brands creates superior products and services, all designed with one goal in mind – putting smiles on people’s faces. EZ Dock is a premium waterfront life solutions provider with easy to configure floating docks, ports, launches, walkways, and accessories. HAGS is Europe’s largest creator of outdoor spaces with recreational equipment for play, sports, and fitness. Little Tikes Commercial designs and manufactures outdoor play structures that inspire a sense of wonder for children and adults alike. Miracle Recreation Equipment is a leading producer of innovative, durable products that aim to put the thrill back into outdoor play. Playtime offers cutting edge themed play experiences and customizable architectural accents to engage and delight children. Playworld delivers innovative outdoor play solutions that encourage children of all abilities and adults to play together in exciting new ways. Soft Play offers contained, safe indoor play experiences that are proven family attractions not only for the children playing, but also for the brands we represent. Tayplay designs amazing rope play structures and climbing frames that empower children to safely climb to new heights. USA Shade & Fabric Structures provides full design-build fabric shade structures that add visual distinction and protection. VPS is the pioneer and leader in design and manufacture of covered parking systems to protect cars from hail, heat, and sun. Wabash Valley offers outdoor site amenities that are both functional additions and beautiful accents to any outdoor space. Video: See how our family of brands brings greater power of play to children and adults around the world. 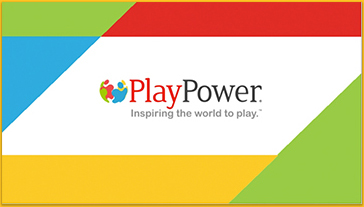 Brochure: Take a look at how PlayPower can infuse playfulness into any sized project.